There are good dilemmas and bad dilemmas. In running S2C we have encountered the bad ones and they usually revolve around money or at least a very definite shortage of it. recently we have been starting to encounter some of those good dilemmas. For example, we recently employed a couple of reprobates to help make links in the local community with local services supporting vulnerable people as well as local business. It appears they have been doing a good job. We have increased numbers of people using our services and developing new ideas for projects and sessions through the week. We have also started some very exciting projects alongside other groups and have plans in place to develop new services. This week we started a project with Sedbergh and Casterton School Archive which has been funded by #hlffunded #hlfnorthwest the Heritage Lottery Fund. This involves our service users using material from the school archive to inspire artworks. The main thrust of the project is through Screen Printing though other artwork will be created alongside this too. We had a great session last Friday with a wide range of material dating back to the 1890’s of school photo’s, items and information that had everyone thinking of ideas. The plan is to now have six sessions led by printmaker Kevin Hankey and then screen printing sessions with local artist BenDodge in his professional studio to create a set of high quality screen prints. All the material created will be exhibited in the future. So if you would like to pick up some basic screen printing skills and then have a go with some serious kit do come along to our Friday WellArt sessions. This week I wrestled a beast and conquered a store room……. Managers Blog: This week I wrestled a beast and conquered a store room……. So as usual we had a break over the Easter period, which is something that as an organisation we need to do just to catch up and get some jobs done. Of course the plan is also to give the volunteers a bit of a break and allow the many volunteers with children to be free of any responsibilities during holidays. That was the plan. End result is that when you walk into the store room on the first day of the week for cleaning you are greeted with a sight of post apocalyptic looting, mass earthquake damage and a minor civil war down among the fabrics. I took four days have hard work by volunteers to clear, sort, rearrange, throw away and put things straight. But, for the moment, we have and organised and tidy store room. The other major trauma was the arrival of the beast………. The four of us who were there attempted to move it but required th additional help of two nearby builders. It went through the door. With the racks up and by pushing the legs through first and twisting the rest round the corner. Just fitted. Then we left it for a day. Mainly because the diabetic among us were busy stuffing sugar down their face to recover. The next day the maneuver was repeated through and internal door then several people nearly injured themselves putting it upright. It now sits in the corner of the biggest studio, a glowering ominous presence that promises to swallow vast swathes of artwork and possibly never, ever, return it. The morals of this tale. never tell anyone you plan to spend the week off cleaning and tidying but that it’s going to be a volunteer “get together” and when you resource manager finds a bargain, have it measured. Des Res……Thinking About The Prefix……. I talked last week about being there for people over a long period of time, not just short term. I was, briefly, tempted to launch this week on a them of resurrection in terms of people losing everything through illness but then finding a new life as they come out the other side. That, however, has potential to offend many. But then I thought, hold on, why am I offending? To be honest the word fits perfectly the stories of some of the people I have the utter privilege of knowing, who have been to a very dark place that has destroyed their lives but then have clawed their way back to a new and totally different life. The fact is that many fail to appreciate that in some cases their mental illness is enduring and prolonged, maybe even lifelong. The people we see can be in decline with no prospect of recovery at the current time. Particularly in terms of Dementia or various degenerative illness. I see people at their best and their worst but the important thing is to be there as best we can. Let’s face it we are never going to be the answer but we can be part of the solution to support them as they make the best they can of their lives. Sometimes that can be as simple as just allowing a person to find their feet again, rebuild some esteem and confidence such that they can then move on in new and unexpected ways. I could give example of this but I respect the confidentiality of those individuals. S2c aims to be a point of reference. No pressure, supportive, understanding and all those other little subtleties I have talked about previously that mean an individual in crisis or turmoil knows they have somewhere to go and be safely. The sad thing is we can’t make it ideal for everyone. We can try to accommodate everyone’s needs but sometimes it just isn’t possible. We try and provide a stable environment where there are not any points of stress or anxiety. We are a charity for vulnerable adults and our clear purpose is to help them survive. It is sometimes tempting to get distracted from this but when you stray away from this you can start to cause anxiety to the very people you aim to help. It becomes easy to suddenly have to many people, for their to be the noise that causes stress, the people who bring in their children may not realise how much anxiety it can cause which is why we remain focused on adults. These things occur, and it is like life, unexpected events happen. In order to create a safe place though we try to make these events uncommon. So back to the title and a selection of re- prefixes that might not offend anyone……resolving, restructuring, restoring, rebuilding, restarting, relearning, rehashing and refurbishing people lives? Some of this weeks artwork….. It has been another busy week at S2C. On Tuesday we were visited by Damian Hebron from the London Arts For Health Forum. Damian is looking at community art around the country. He joined our 2Create session and was made welcome by our service users and volunteers. In discussion afterwards he was very complimentary about what he had experienced and really understood the way in which S2C supports vulnerable adults through creative activities. It was really good for me that he understood what we were aiming to do. I think sometimes people come to one of our sessions and completely miss the healing and support that goes on because they are maybe expecting a more traditional art class or taught session. Damian picked out the clear positive atmosphere, welcoming and friendly communication, mutual support around the room coupled with and understanding of how people were feeling. Also the lack of pressure, the subtle interventions to move people forward when appropriate. All this creates a very safe and supportive space which allows those who are fragile to find their feet and begin to recover their confidence and esteem. Over time this builds and those individuals can look to move forward further, either with us or moving on to other opportunities. After the session we had a very interesting discussion about the need for longer term intervention. Often funding is mainly available for short term projects delivering a set period of activity with a clear outcome. What we felt was, that funders maybe failed to appreciate the need for constant and sustained support over long periods that was ongoing and reliable for the vulnerable individual free from pressure to achieve, attend or attain. This kind of support is very hard to monitor and to record especially when you are dealing with long term illness which often fluctuates, people can go backwards as well as forwards, people have relapses, the illness is degenerative and can only get worse or recovery time is measured over many years. We would call out to funders to look at ways to support this kind of work as it is just as vital as the many great projects out there working over shorter term focused periods. This has been brought home to me by two very different situations this week. One, where an individual, after attending for a long time, felt safe enough to talk to our volunteers about their issues. Trust and feeling safe take a very long time to build when your life has been effected by serious illness or trauma. Another case was a simple comment that attending S2C sessions for a month or two had more positive effect on how this person felt than years of therapy and counselling. Sometimes the key to unlocking the door to moving forward takes a long tie to make. S2c is in it for the long haul. One final notable event this week was hanging an exhibition in our local doctors surgery. This is a great project for all concerned. The doctors have the environment of the surgery improved for those using the building. It builds a positive and relaxing environment for the patients and provides an interesting talking point. 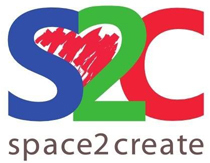 For S2c we get our name brought to the attention of people who may well benefit from our services. It also gives a boost to the esteem and confidence of those creating the art as well as purpose to their activity. We look forward to developing that relationship to the mutual benefit of all involved. This Week I am Sad……. ……..sad that in our culture we seem increasingly to have no place for art. I don’t mean the artists who create amazing artworks that we admire in galleries and buy to hang on our walls. Or the art that is created with such passion to challenge or educate and inform. I mean the grass roots art, art by everyone, art by our children, art by those who are isolated and lonely. We seem to see art and creative subjects being squeezed out of our schools. It has no place in the curriculum it seems. Yet this is also going against all the research that highlights how art is a powerful and enriching undertaking regardless of ability. How it helps children to learn, think and grow as individuals. How it brings hope and light in despair and has countless positive benefits for participants. Is it because it’s hard to control? It’s difficult to measure, to produce a nice chart showing progress and attainment. Is it undervalued because what is created doesn’t have the quality or standards required to be true “art” and therefore as a product is worthless. Is the understanding truly lacking that process and participation are where the benefit lie and not in the result for those who have their lives enriched by creativity. One truly fears for the generation growing up now who have pressure and stress as a staple diet. Growing in a world of elitism and cynical disregard for that which does not meet perceived criteria of success. Those with issues who benefit from creative activity are set to lose that one feels and those future generations are being prescribed serious mental health issues by those short sighted and financially stagnating policy makers. Why am I ranting. One reason is the very sad news that a charity which does fantastic work in areas of Cumbria supporting families and the local communities has seen fit to end it’s art section rather abruptly. Where is the vision to see what a role creativity can play in building community, building family and developing young minds.